VOW is confirming its commitment to keeping resellers at the core of its business by appointing a new board. Adrian Butler, managing director of the wholesale, said the formation of this board was a “highly significant development for our organisation” and that the group brought “real focus, expertise and experience” to the company. Alongside Adrian, the board’s members are: Lisa Hainsworth (sales operations director); Andrew Stacey (merchandising and marketing director); Martin Weedall (operations director); Thomas Barber (commercial director); Nikki Todd (customer experience director); and Cheryl Lamont (managing director of VOW’s managed services division). Lisa has two decades’ experience in the business supplies industry and has joined VOW from global technology company Xerox, where she worked for three years as European sales operations director. Andrew, who has been in the industry since 1989, has held several roles within EVO, latterly that of group merchandising and marketing director. He will now focus fully on driving VOW’s evolving product and customer proposition. Martin, who has over 27 years’ industry experience, has held a series of senior positions within VOW’s operations, running regional depots across the country before most recently moving into a more customer-facing role as national sales director. VOW believes Martin’s strong understanding of operations and customer needs will play a key part in ensuring its service proposition fully meets resellers’ requirements. 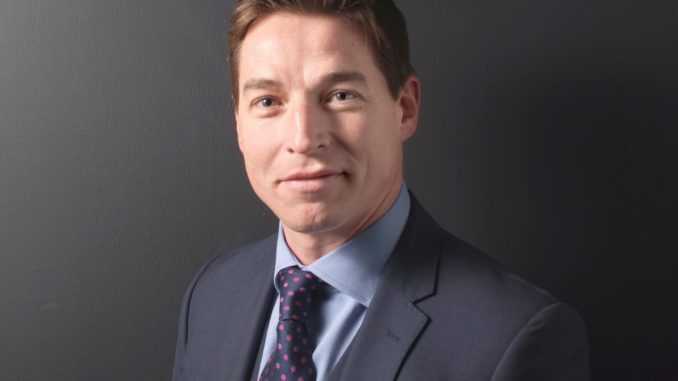 Thomas, a chartered accountant, was latterly head of commercial finance with the EVO group. His new role will be complemented by that of new marketing director Helen Wade, who will assist resellers to drive and promote their businesses effectively. Nikki, whose industry career began in 1990, was previously director of VOW’s fulfilment channel – encompassing services for national and online resellers, IT resellers and contract stationers. In her new post, Nikki will focus fully on VOW’s end-to-end customer proposition, by simplifying processes and making resellers’ lives easier. Cheryl, who has worked in the business supplies sector since 1997, will head VOW’s managed services division, a fully outsourced service proposition. She will ensure its customer proposition is in line with reseller needs. Commenting on the new VOW board, Adrian said: “We’re really excited about this hugely significant development for our organisation. This new leadership team brings real focus, expertise and experience, which strengthen VOW considerably and puts us in an even better position to deliver on our strategy, ensuring we continue to concentrate completely on our customers’ needs. Adrian explained the reason for this empowerment was that EVO understood its separate businesses knew their customers best and in the modern marketplace, needed to make decisions and respond to their needs quickly. Looking forward, he said: “The appointment of the new board will lead directly to many important initiatives in the months ahead, as the directors all have their own joined-up plans – the changes they want to introduce which will bring us even closer to resellers. These projects will include streamlining our organisation in some key aspects, improving our speed of response and introducing ground-breaking customer service innovations.